I’ve just spent the past hour teaching myself how to tune an espresso shot. What? An hour!?! For several months, I’d been using the cheater’s method of a “dual wall” portafilter. This is basically a normal filter, with many tiny tiny holes, covered by another layer of metal with only ONE tiny hole. When using a normal filter, the tamping (or pressing) of the ground coffee must be packed evenly and firmly to build enough pressure that the water passes through the coffee equally. Even the smallest weak spot will allow the water to ‘channel’ through and throw off the flavour of the shot. 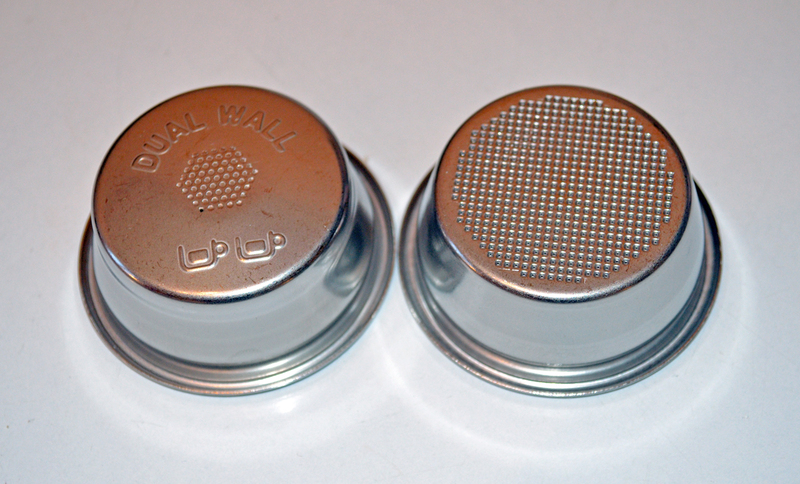 The dual wall’s small outlet ensures that a high pressure is reached every time. It may not be perfect, but for the beginner, it’ll do. I read recently that the crema produced by these filters is not “real” and that you can’t achieve top results this way. I decided it was time to put on my “big boy pants” and try making REAL expresso. They were RIGHT. For the first time since getting my Gastroback ‘Pro G’ last year, I saw the pressure needle approach the top of the indicated range. It had never gotten anywhere close to this in the past. It took a few tries to really get it tasting right. First it was too bitter. Then it as too sour. Then it was…JUST RIGHT… Nice thick, beautiful crema. This also explains why my Latte art attempts with the dual filter were such horrible failures. Now making a proper crema, this too was easier to do! 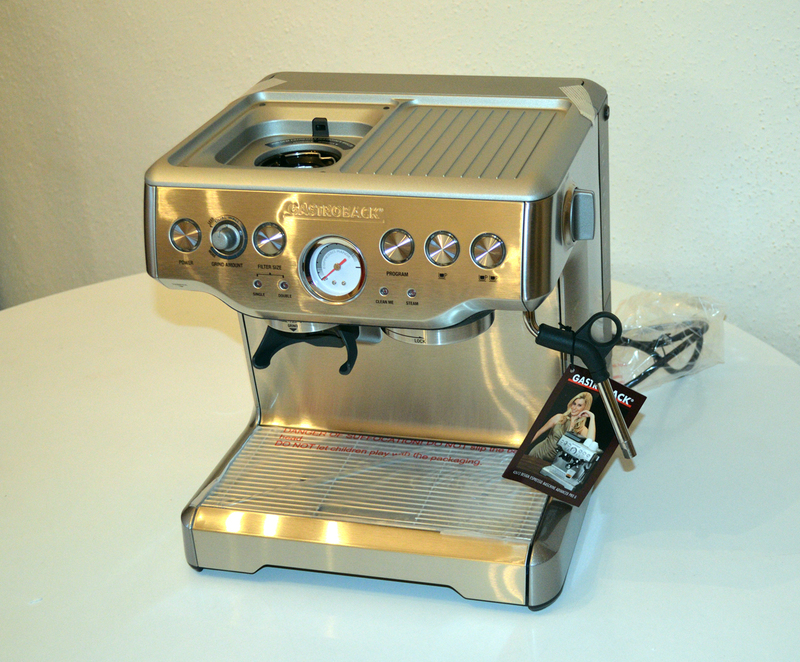 One invaluable tip for using this machine, since it has no temperature control: If you want to brew with a lower temperature, wait a few minutes after the machine is ready. If you want a higher temperature, run the steam wand for a few seconds before pulling your shot. This will ensure that the heater is ON and at max output while pulling your shot. Now go grab a cup, your espresso is ready! Brand NEW, out of the box! Morning Coffee. Is it Too Much to Ask? What's the World's best coffee?